Everyone wants a good deal on a major purchase and no one wants to overpay. However, you also want to make sure you do not get cheated and do get the best value for your dollar. When it comes to selecting a contractor for a major home improvement project, these desires really hit home. In particular, building a new swimming pool is a prime example of such a project. To ensure that you get the most for your money, it’s crucial to resist the temptation to choose your builder primarily on price—particularly if it is significantly lower than other bids you receive. Here’s why: Low-priced contractors are often the ones who cut corners on a variety of fronts. For example, they may operate without proper business insurance, liability insurance, workers comp insurance, or property-damage insurance. 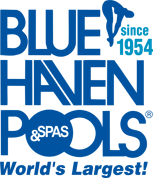 In states where a license is required for pool contractors, the low-ball firms are often those without one. They may install cheaper equipment or brands with poor warranties. They may use low-quality materials or skimp on the needed amounts. They may rely on crews and subcontractors who charge less—due to limited skills, experience, or an unfavorable reputation among local pool builders. Sometimes a low-ball price is a sign of desperation. A builder may sell a pool virtually at his cost. Why? While he may make only slim or no profit, he may be on a money treadmill; he will take the job just in order just to keep cash flowing to pay the rent or the bills on his last customer’s project. Remember: To make profit to stay in business, any good business needs to charge enough for their product or service. The same is true for contractors. However, a contractor staying in business is important not only for them—but for homeowners too. You want your contractor to be around to take care of any warranty issues that may arise! Certainly, your budget must be a major factor in guiding what you purchase. However, it should not be the primary factor in guiding you with whom to make that purchase. Weigh factors such as local reputation, length of time in business, financial stability, scope and depth of insurance coverage, expertise of the designer, and the quality and scope of equipment offerings. Above all, when shopping for a pool builder, seek overall, long-term value.